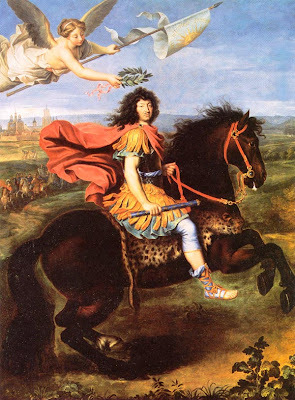 louis xiv, the sun king wanted to "impress europe and the whole world with the splendor and brilliance of french culture." he transformed a hunting lodge at versailles into an elaborate palace and encouraged the blossoming of arts, sciences, and the "new invention" of classic french cuisine. a few times a week (as long as you were decently dressed and checked your sword at the gate) you could come to versailles, walk the grounds, view glorious works of art, and watch the king, his family, and his court eat supper. for dessert, louis xiv favored chocolate. after all, he was instrumental in the research, development, and manufacturing of chocolate. madame chocolat, nestled in beverly hills, is where you can get a local taste of versailles. you are welcomed with royal visions of chocolate, chandeliers, gilded mirrors, and whimsy. behind the glass encased chocolate creations, you may watch the gorgeous hasty torres tempering chocolate and crafting her creations. hasty torres uses fine belgian chocolate with a 60 percent cacao ratio. 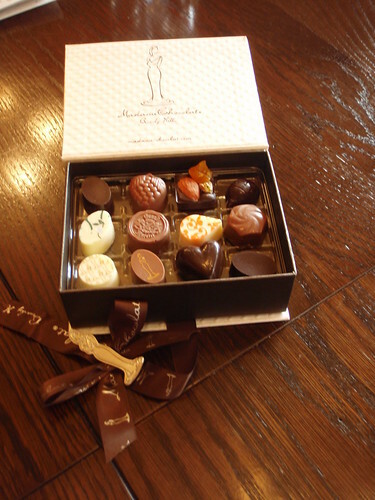 every single truffle and bon bon is exquisitely hand molded and hand decorated. your choices may vary from classic monsieur (jonnie walker blue label) to luscious chocolate squares topped with roasted almond, pistachio, and dried apricot. 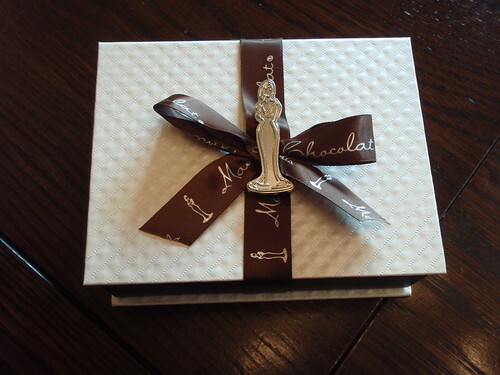 the versailles theme continues with her amazing white quilted packaging, a brown bow, and silver pin attached. when the spanish princess maria theresa was betrothed to louis xiv, she gave him an engagement gift of chocolate in an elegantly ornate chest. after a day of shopping on rodeo drive, you can relax in the café area and imbibe a lovely hot cup of cocoa with a chocolate spoon on the side - - -there are also chocolate shavings for cocoa to go.